When last did you play PES 2015 ISO PSP on your Android? Hope it's really fantastic as it comes with new features that can entice you the more when playing the game. This for those that have already enjoyed it. But for those yet to enjoy PES 2015 ISO PSP, it's now here again for you to catch your fun. 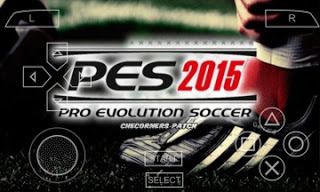 √ Free Download & Installation Of PES 2014 Apk For All Android DevicesDevices. The game is such that you will always confirm and say its cool after having feel of it. The PES came with awesome graphics that can never be overlooked once your eyes flashed on it. (Below are they screenshots ) it came, not only with awesome graphics but with large buttons for easy control when playing it. Are you tired of playing PES 2014 then don't hesitate to get this one. With PES 2015 ISO PSP you can enjoy champions league games, premier leagues, spanish leagues and many other league embedded to it. The game also was beautified with updated players list. How Can I Download & Install This latest PES? How Do I Install it on my Android device? ==>1. After downloading from the above links, just click them one after the other to install to your Android device. ==>2. Next, is to move the downloaded PES2015.iso file to the path in SDcard/PSP/GAME. That means, you are moving it to the last folder above which is "GAME" folder under "PSP" take note. This operation is taking place in your memory card and not on your device's memory. ==>3. Finally, now open the PPSSPP Gold application and find games. There select Pes2015 and start playing. This particular game is of ease when installation, that's why I admire it so much. And as well with normal view on large screen as if it is a responsive view template.